While American audiences know many of Akira Kurasawa's films, one that often flies under the radar in the West is Ikiru, the story of a worn-out salaryman dealing with his own mortality and his realization that his family simply no longer cares about him. It's a powerful and often heartbreaking work . . . and it's not the first thing you'd imagine someone could turn into a science fiction series. You might also find it surprising that the creator of said series is also the man behind the controversial, ultra-violent manga and anime Gantz. Yet this is the kernel at the core of Hiroya Oku's Inuyashiki, and despite Oku's previous work, this recently-completed manga has become one of the standout anime of 2017. This review covers the first two volumes of the manga, which in turn were adapted into the first two anime episodes. The titular character, Ichiro Inuyashiki, opens the series in a steep decline. Although he's in his forties, he looks like a man in his seventies due to rapid aging. While he's moved his family out to a new house in the suburbs, his children are disappointed in how small their new house is compared to their neighbors. He gets a dog (an adorable Shiba Inu named Hanako) to cheer himself up but all his family does is complain about it. Then the ball drops, and he's diagnosed with terminal stomach cancer. This is when Oku puts in a direct reference to Ikiru, replicating a famous scene by having Ichiro sitting on a swing in the rain, crying and singing an old song called "Gondola no Uta." It's even more heartwrenching in the anime thanks to the vocal performance of Fumiyo Komihata. So, you might be asking: where does the science fiction angle come in? Shortly after the swing scene, while walking Hanako, Ichiro is suddenly hit by a UFO as it comes out of some sort of inter-dimensional space jump. The panicked UFO occupants quickly rebuild Ichiro and another human they hit before flying away. Oku spends no time explaining who these aliens are or how exactly they rebuilt their victims; they're an inciting incident, intended to kick off the plot while leaving numerous mysteries to be solved by the characters and audience. It's an almost whiplash-inducing sequence that's then tempered by some humor as Ichiro figures out just how much he's been changed, nearly destroying his bedroom in the process. In short, his entire body has become a sort of cybernetic weapons system with advanced computers, a flight system and nigh invulnerability. From here, the series takes two branching paths that won't intertwine until volume three. Ichiro immediately proves his heroic bona fides by protecting an old drunk from a group of kids and their fixation on fireworks pranks. They're non-lethally stopped using Ichiro's mysterious main weapon -- banks of directable light which line his back -- along with some social media shaming done by a camera in Ichiro's head that activates when he's unconscious. It turns out that the aliens gave godlike powers to a budding sociopath who had difficulty identifying with any human outside of those he knew on a personal basis. Hiro thinks nothing of sniping Ando's bullies from afar since they don't register as people to him. This leads into a truly disturbing sequence at the end of volume two, with Hiro taking the term "family annihilator" literally and choosing a random house to walk through and kill every person in. This includes the children (one dies in the bath with their father) and Hiro interrogates the teenage daughter about her manga habits in what he thinks is a joking way while her family dies around her. Unlike a lot of the violence in manga and anime -- especially the over-the-top gore of Gantz -- his massacre generates a deep sense of unease in the reader at what they're seeing. 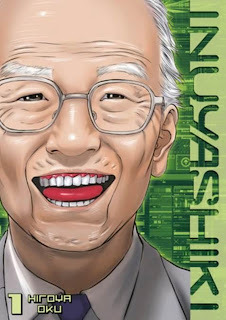 With complex characters that you actually care about and a sci-fi plot that's interesting without being bogged down in exposition, it's easy to see why Inuyashiki has taken off with fans. Future volumes of the manga contain a plethora of great moments, such as Ichiro learning to fly while singing the Astroboy (Mighty Atom) theme song, a run-in with the Yakuza, and Hiro's attempts to prove his own humanity. Along with the manga, I would also highly recommend watching the anime, which is available on Amazon Prime through their Amazon Strike service. 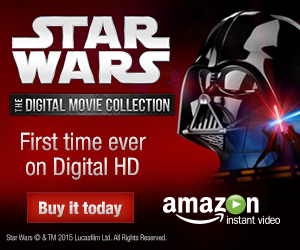 The animation elucidates some of the storytelling, particularly the fight scenes. While the manga has concluded, and the anime is heading into its final act as of this review, a live action film is scheduled for 2018 and there's a chance that more Inuyashiki could follow. I've been watching the anime and then comparing each episode to the manga chapters it covered, and I can't believe I never noticed the similarity to Hiro and Ando from Heroes. I don't know if that show was popular in Japan, but Oku has said in interviews that he watches lots of American movies and TV. My only real issue with Inuyashiki is that people never notice the title character and Shishigami flying about. In Gantz, they at least had the excuse that the "Gantzers" and the aliens they hunted became invisible to regular people during missions. It might be a critique of people being glued to their screens. It was either Invincible or Astro City that had the line "Normal people don't look up".